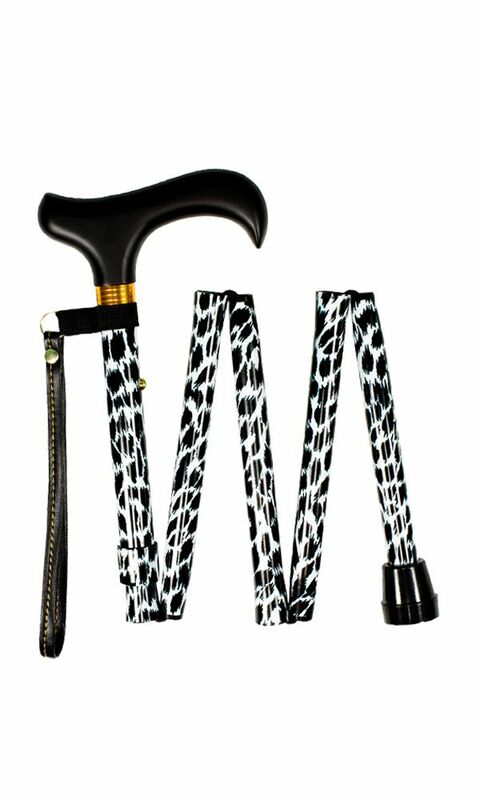 Height adjustable folding walking stick. Folds into 5 sections making it small enough to fit into a handbag. Strong and lightweight aluminium walking stick with wooden derby style handle. Wrist cord and ferrule included. Adjustable in height from 28.5" to 32.5". Ideal for the shorter person.